Mummy Of 3 Diaries: Check Out Tinsel Town! Have You Been To Tinsel Town? Last night I was casually watching TV when Man Vs Food came on and boy did it make me hungry! Seeing those cool American Diners made me want to see one for myself. Well actually just seeing all the amazing food made me want to go. I visited my trusted friend Google and was totally gobsmacked when it told me there was one right near my house! I often go to my local Fun Place Star City but hadn't been upstairs for a few months, If I had I would have seen that in February this year an Amazing new Dinner opened called Tinsel Town. We jumped in the car and drove down to check it out ~ Luckily we were kid free thanks to our lovely parents which came in handy as I was on a food Expedition. When we arrived there was quite a big cue outside but it went down pretty fast. I was hoping that this cue meant that the food inside was just so good that everyone had came to get some! Looking at the menu there was lots of choice, Burgers, Grills, Chicken and a massive range of Milkshakes. I'm not a milk drinker though so I stuck to my Cola. 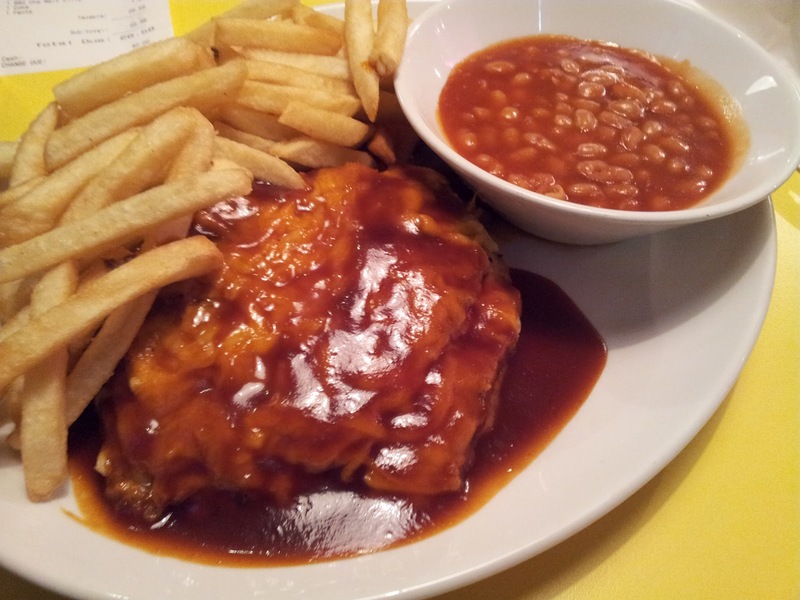 Eventually I choose a 10-12oz Chicken breast fillet covered in cheese and Smokey BBQ sauce served with my choice of two sides, BBQ Beans and Fries. My Mr choose a whopping 4 Burger (20oz's of meat) with a double side of fries. We were expecing a wait for our food as it was so busy in there but nope, it arrived swiftly in just 10 minutes. WoW! Take a look at our food! It looks fantastic but tasted even better! My meal cost just £9.99 and Mr's just £12.99. 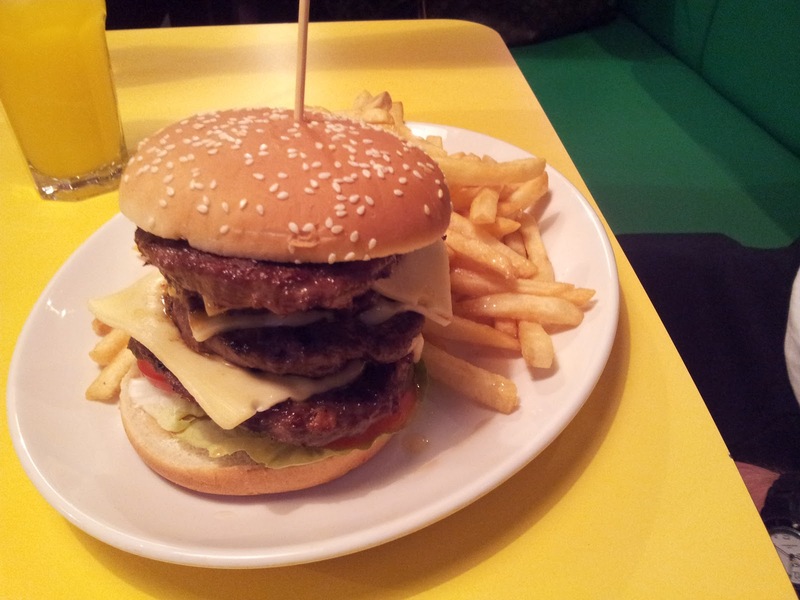 We WILL be going back to Tinsel Town real soon! I think I have a new favourite place to eat. If you have a Tinsel Town near you and haven't been yet ~ I think you should! Disclosure: This post is NOT a review and I was NOT asked to write it. I wrote it because I genuinely had a fantastic experience and wanted to tell the world!